What came first, the egg or the chicken. The age old proverbial question may not amuse you when you are totally stressed out with work or problems. You really don't care and you just want to something to bash. Don't go for your mobile device or laptop, it will be a costly exercise. Grab hold of a stress ball and bash away. This egg when cracked won't spill all over your desk but will simply jump back into its original shape, so you can bash it all over again. Our ball is made from a soft material that retains its shape no matter how hard it is twisted or squeezed. 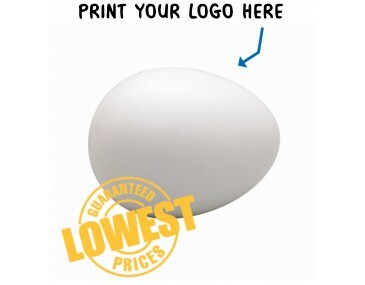 The design is simple and classic in the shape of an egg in a clean light colour. Talk to us about branding your personalised company logo onto these egg stress balls. They make fabulous fun give-aways at trade shows, outdoor events, expos and corporate occasions. Food and beverage companies, baking companies, chicken and egg suppliers will create a great marketing campaign with these promotional items. Retail stores can also use them for egg and chicken-related product launches. Talk to us about branding your image onto the balls, our listed price includes branding of your logo or graphic in a single colour print. Please note that our prices exclude GST and a print set up of $75 applies. 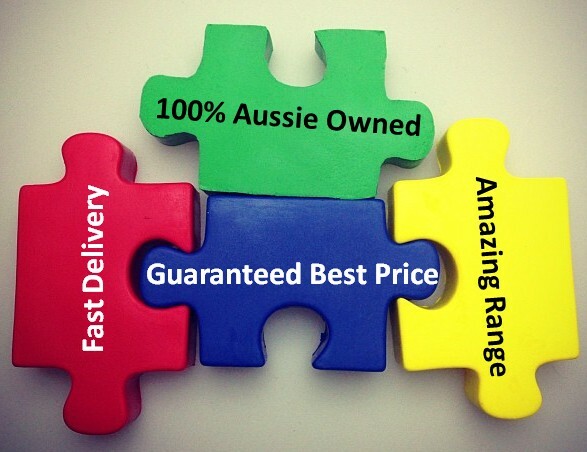 This product can be supplied unbranded if required and is available for delivery within Australia only. This product is supplied in bulk quantities. We offer a product turnaround time of two weeks, but we can offer even faster turnaround times for urgent orders.